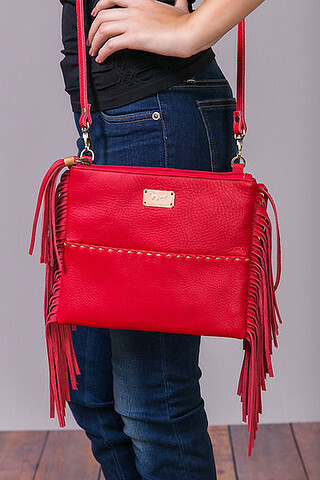 Head out the door with the Camden Buckle Wristlet Red by Fredd and Basha. The 100% genuine leather bag is a vibrant classic red that pops among the brass buckle accent. 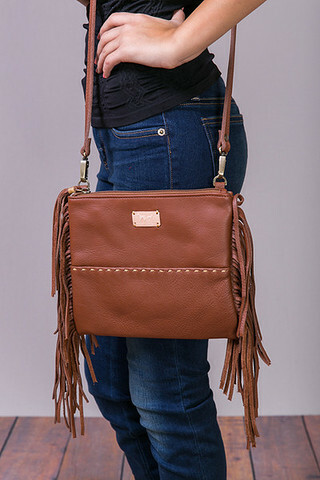 The outer body features an oversized pocket that has a clasp closure with tan hand stitched detailing along the seams. The clutch opens with a brass zipper and has a chocolate Nylon lining. There is a generous sized pocket in the inside compartment that is complete with a zipper closure. Put simply, the Fred and Basha products are of a very high quality and this is not the first product I have purchased. PB&J were expedient in getting the product to me in good order, quick time and nicely wrapped as a gift. Thank you ladies!